For some buyers, the unpredictability of the experience is the most exciting part. Others prefer to go in armed with knowledge. Whichever you fall under, this simple nine-step guide will help you succeed in buying your first home. 1. Make sure buying is the right decision for you. Homeownership is not right for everyone. There are several scenarios in which renting might be a better option, for example: if you plan on moving to a new area soon, you enjoy having location flexibility, or even if you are not ready to deal with home maintenance. Do not feel pressured to buy if the timing is not right for you. 2. Be aware of your credit score. Even the most meticulous bill payers can be surprised to find their credit report is not what they expected. Make sure you don’t encounter any surprises when you’re applying for loans. Use credit bureaus such as Equifax, Experian and TransUnion to check for any problems. 3. Work on healing your score. · Contact credit bureaus and report any errors. · Try to pay down your credit card debt and any other small balances. · Pay all of your bills in a timely manner. · Give yourself time to see results. 4. Find the right lender for you. · Income verification for the source of your down payment. · Tax returns from the last two years. · Your two most recent bank statements. · A copy of your driver’s license and social security card. 5. Set your real budget. Don’t underestimate how much your costs will be. Think of upfront costs (Down payment and closing) and what you’ll be paying each month in mortgage, tax and insurance. All your fixed expenses should be no more than 50 percent of your take-home pay. These include you bills, your student loans, monthly subscriptions, mortgage, etc. The mortgage company will only loo at your income and loan payments, so its up to you to figure out what you can actually afford. 6. List your must-haves and where you’re willing to compromise. At the risk of sounding pessimistic, it is hard to find the perfect home with all the features you want, all within your ideal price range. There will have to be compromises made. Make a list of what your deal-breakers are to add clarity to your decision-making process. 7. Find an agent you work well with. There are things to consider when searching for a real estate agent. Of course, your first thought would be their industry expertise, but it is also very important to find someone who is willing and ready to help you when things get messy. Home buying can get emotional and blur your vision; an agent who has your best interest will keep your needs at the forefront of the home search. Don’t settle for any agent. 8. Prepare for an emotional rollercoaster. Looking at houses online is a lot of fun. Pounding the pavement in search your house can sometimes be a drag. You might fall in love with a house online and hate it in real life, you might not get the house you wanted so badly and put an offer on. Even after closing, your inspector might find a mold problem; your home might not be appraised for the expected value. 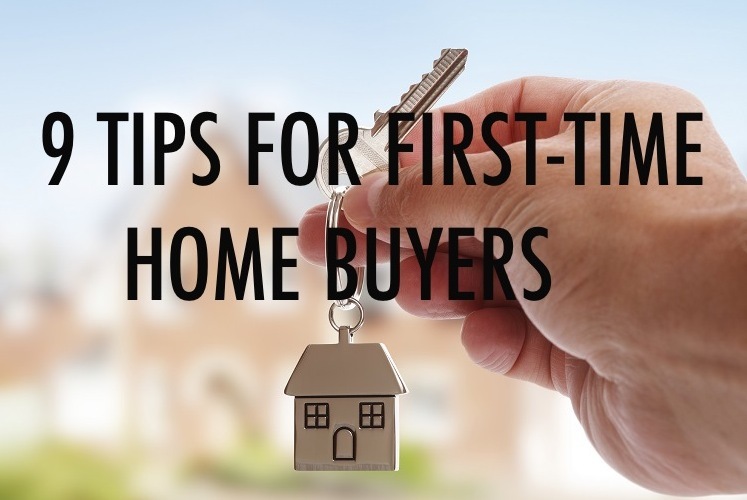 As exciting as home buying is, all of these glitches can wear you down, so remember it’s not a done deal until you’ve been through all of it. Settlement is when you’re new home officially becomes yours. You’ll sit down with your agent and maybe attorney, and sign a ton of paperwork. Be prepared with a cashiers check for your down payment. Finally, when you are handed the keys to your new house, pop open a bottle of champagne and celebrate in the comfort of your own home.